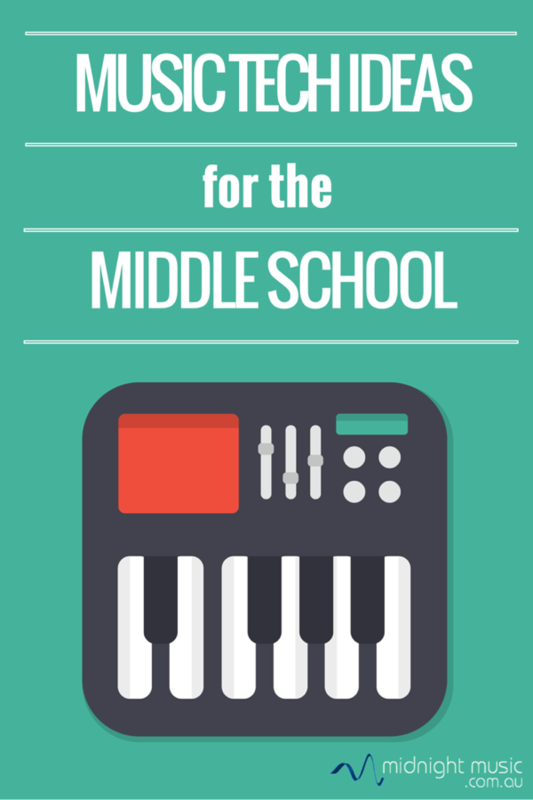 Question: What type of music technology activities can I do with my middle school students? This question has been popping up a bit lately on Facebook and in my emails. 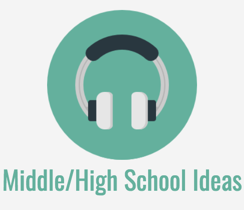 Here are a few engaging, fun and creative music tech projects that are perfect for middle school students in years 5-9. Students record themselves telling a story (part of a fairytale or Dr Seuss story works well) in software such as GarageBand, Mixcraft, Soundation or Audacity and then edit their recorded narration to create “funny voices” appropriate to the story. Select a section of the recorded narration (the WAV form) and apply preset effects in the software. 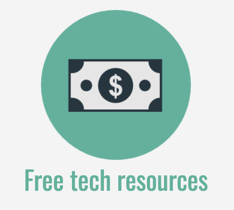 Try creating a scary ogre, a high-pitched chipmunk voice, robots, aliens or a Darth Vader effect. Students can work in groups to plan a short story – 3 sentences will do – and work out how they can tell the story with sound effects only. Record the sound effects and piece them together in the right order in your favourite audio recording/editing software. Other students try to guess the story by listening to the sequence of sound effects. Students write a 4-measure rap about themselves, based on a provided structure and then record a rhythmic backing to go with the rap. They can record their rap and the backing on laptop or iPad. Full instructions for this lesson can be found here. If you’ve been teaching your students the 12 bar blues, get them to record the blues chord sequence in a different style in your favourite recording/sequencing software. This can be as simple as recording the basic 12-bar pattern on a guitar or keyboard software instrument and then adding an existing drum loop in an unexpected, non-blues style – like dubstep, trap, or a latin style. They can then improvise a blues melody over the top of their blues accompaniment. I have iPad instructions for a project like this here, but they could also be adapted for desktop software. Find a short video (one minute or less is ideal) and ask students to synchronise sound to visuals. They can add sound effects to match action on-screen and then create mood music to match the scene. Software like GarageBand or Mixcraft is ideal since it allows you to import a video and create the soundtrack while watching the video. 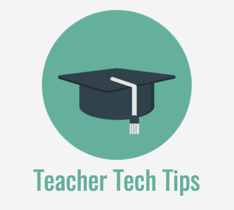 Tip: if you’re short on class time, students can choose pre-made loops instead of creating the music from scratch. Along the lines of creating a movie soundtrack, students can compose music that matches different styles or mood or video games. Give students a choice of game styles and ask them to compose music that will evoke an atmosphere for the player. Style examples might include happy and light music for a light-hearted platform game, battle music for a war game, fast-paced music for a car-chase game and so on. Incredibox is a free interactive website. It’s lots of fun and great to use as an introduction to arranging or remixing. 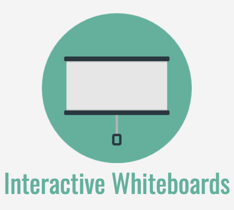 Students can plan a “performance” of the Incredibox dudes which demonstrates a variety of arranging decisions. They can then record their remix using by clicking the record button at top left. 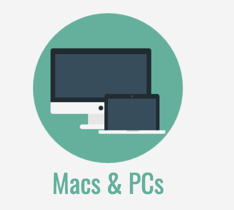 This blog post walks you through the basics. [Note: you will need a Pinterest account in order to look at those links. It’s free and it’s definitely worth it 🙂 ]. Students record the chord progression (in any style, at any speed and with any time signature they like) and add a drum pattern. Ask them to guess the song and to sing it over the backing they’ve created. This activity is an excellent way to discuss the way arrangers can transform a piece of music by changing musical parameters of tempo, style, or time signature (amongst other things!). Teach students how to perform the basic rock beat using body percussion and on percussion instruments (and on a real kit if you have access to one). If they find it difficult to perform all 3 parts of the basic pattern (bass drum, snare and hi-hat), they can work in pairs or groups of three. 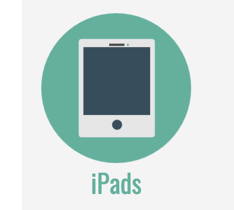 Reinforce what they’ve learnt by recording the pattern in sequencing software like GarageBand, Mixcraft or Soundation, or on iPads using the GarageBand app. They can record each of the three parts separately and learn how to use the quantise feature to adjust the parts. Use the awesome (free) quiz tool Kahoot to test students on a topic you’ve been covering in class. 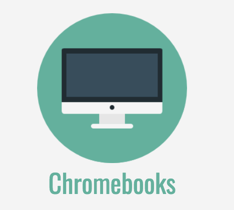 Students submit their answers using any type of device that connects to the internet – laptop, iPad, smartphone or other tablet and they are awarded points for correct answers AND for speed (!). Before you create your own quiz from scratch, search the library of existing quizzes that have been created by teachers all around the world. You might find the perfect quiz already set up and ready to go. 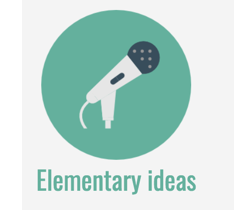 How to get these projects going in your classroom? 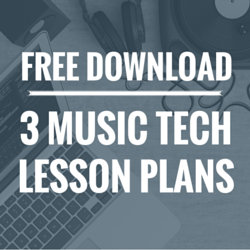 If you’re keen for instructions on exactly how to run these activities using the software you have at your school, there are details in the online courses and other resources inside the Midnight Music Community. 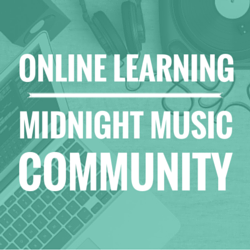 You can find more information about the Midnight Music Community here.